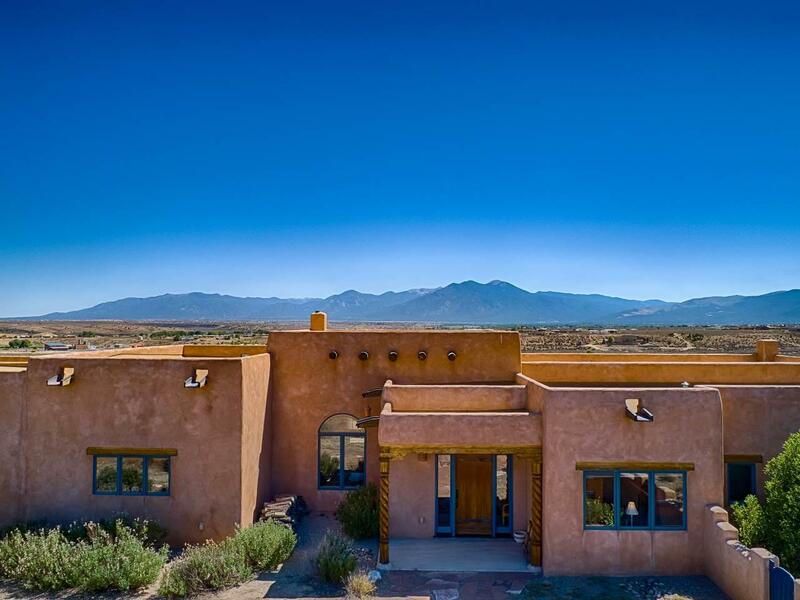 Come explore this stunning southwestern designed home situated near Taos Country Clubs Golf Course and enjoy 360 degree mountain views and spectacular high desert scenery. This home sits on two lots for a total of 3.75 acres, providing privacy from the neighbors and passing golfers and the rooftop deck, covered back patio and large walled courtyard provides ample outdoor living areas to enjoy these picturesque views. 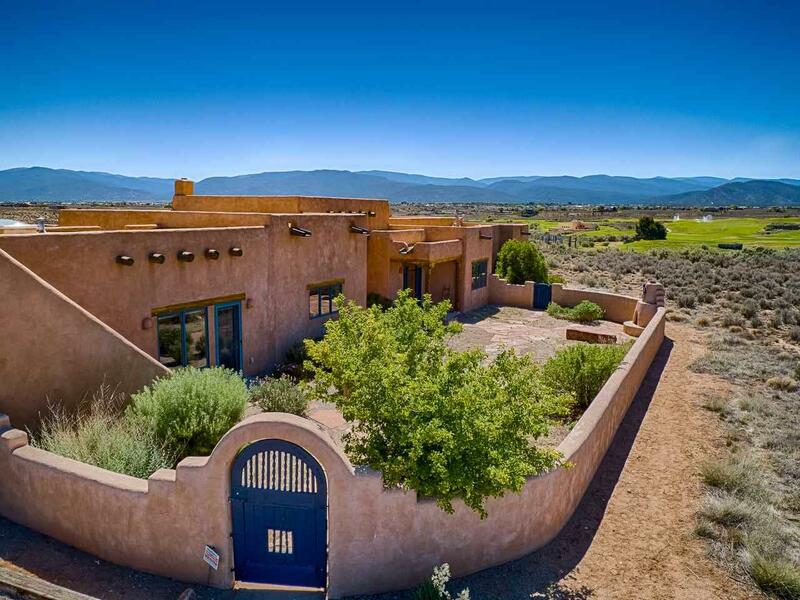 Inside youll find a custom built home with classic southwest design throughout with Kiva fireplaces, arched doorways, an adobe accent wall, large Vigas, high tongue and groove ceilings, Saltillo tile and corbels. The homes layout features bedrooms on each wing with plenty of space for gathering in the middle. 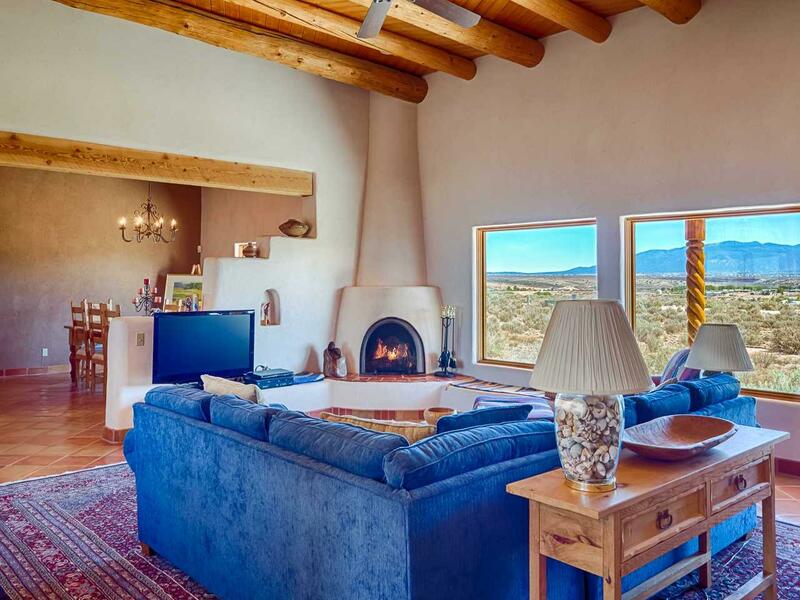 The large living room, formal dining room and kitchen are all spacious and have large windows showing off those great mountain views. The master suite has the best golf course views of the home with its own Kiva fireplace and ensuite bath with soaker tub. 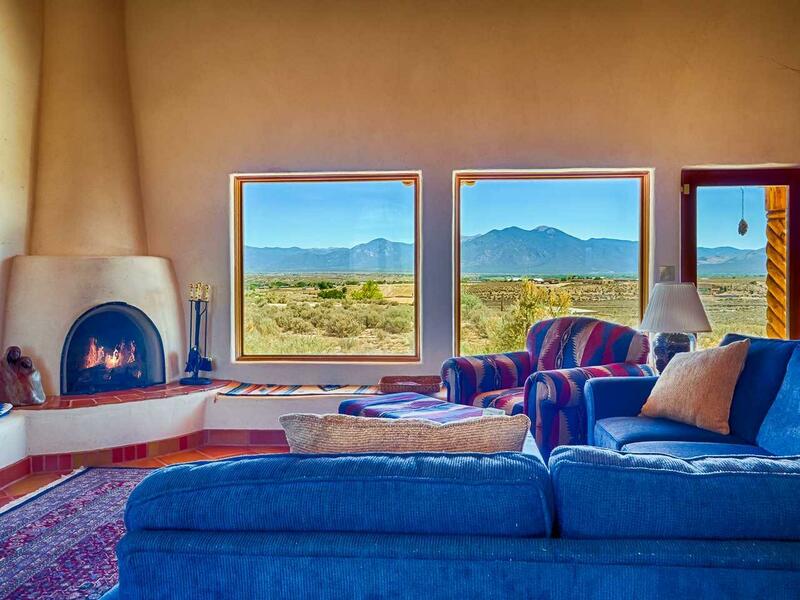 Additionally, this home is only 6 miles from the Historic Taos Plaza. Please call us for a private showing.